Turning Vision Into Action: The Greater the Lean, the Greater the Trust! I suspect that like me, you have been on both sides of the trust equation. I have been in school leadership situations where trust was violated and abandoned, and I experienced the negative effects of those relationships. More often than not though, I have experienced the remarkable PLC benefits of trusting others and allowing them the opportunity to own their work and results. I have also had the benefit of being trusted. 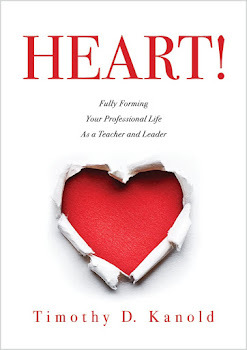 It gave me confidence in my work as a school leader. Yet building trust within your area of school leadership is an elusive and unending pursuit. And once built, trust must never be taken for granted. Can you build your trust leading skills? Yes. You can inspire trust. You can cultivate it and restore it. Trust rekindles the inner spirit of your leadership work and limits the opportunities for regret. It is essential to building successful PLC teams. Trust begins with a personal commitment to respect others. Everyone matters—every student, parent, and colleague. 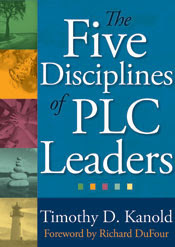 Respect develops when you, as a PLC leader, understand the strengths and weaknesses of each person in your sphere of influence, and you integrate them into the work of the learning team and the school program. Trust does not mean indifference to the work of others. It means respecting the work, listening first, and really noticing what is going on. Trust is built on kept promises. I learned this lesson the hard way early in my leadership career. In meetings, I would often use the phrase “I will try to get it done.” Of course, those in my leadership sphere assumed correctly that I was making a promise to action: that I would get it done. However, in my mind, I was only saying, “I will try to get it done,” and that let me off the hook to actually do something. One day one of my staff members came into my office and said, “You are losing credibility with the faculty because you keep telling us you are going to get things done, and they aren’t done yet. Don’t promise if you can’t deliver.” And then she walked out. She was right. From that moment forward, I was very careful to measure what I promised and to make sure I delivered what I promised. Few things chip away more at trust than broken promises. For trust to be sustained, you must demonstrate competence—both relational and technical/pedagogical. Your personal integrity will lead the school to pursue the truth of things that you just flat out know will work. Those in your N-S-E-W sphere can more often than not count on you to do the right thing, regardless of legalistic rules and regulations that sometimes constrain you. Trust is built on a foundation of reciprocal accountability. This is why establishing a clear and effective accountability and assessment cycle of continuous improvement has such value. This cycle builds mutual trust structures—with accountability that student results and adult work effort will match. You can trust that adult actions will result in good things. And those good ideas can emerge from anyone or anywhere in the school organization. Building trust, then, is one of your major no-regret leadership responsibilities. The best indicator of trust is how hard you lean on those in your N-S-E-W spheres and how hard they lean on you. The greater the lean, the greater the trust. Being transparent is a required PLC leadership behavior for building trust and motivation within the team. Always remember that this ongoing pursuit of trust is based first and foremost on your honesty and integrity as a leader. Something to think about this summer.